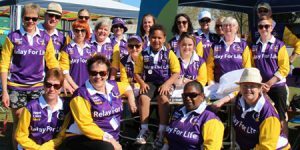 NHW’s fabulous Relay for Life team contributed so enthusiastically and demonstrated wonderful team spirit. 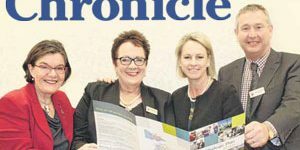 It’s a great honour to have been selected as this year’s Ambassador for the Wangaratta Relay for Life. 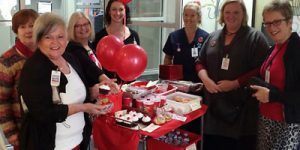 Wangaratta’s public hospital have brokered support from six Federal Senators in Canberra over the past 48 hours in a bid to leverage $22.4 million for future building works. 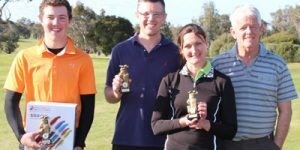 The Latipsoh Charity Golf Day raised over $5000 that will go towards the development of Northeast Health Wangaratta’s Community Care Centre. 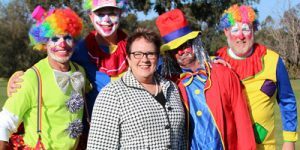 Margaret Bennett pictured with the golf team ‘Clowning Around’ at another successful Latipsoh Charity Golf Day at the Jubilee Golf Club. 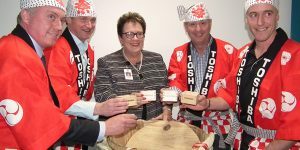 NHW’s new Toshiba CT scanner was officially launched with a traditional Sake Barrel ceremony at NHW last evening . 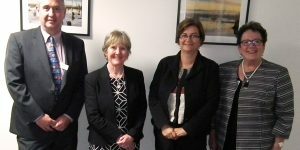 Deputy Secretary of the Department of Health and Human Services, Frances Diver, toured Northeast Health, met with Board and Executive staff and provided an overview of the key areas of focus for the DHHS. Margaret Bennett welcomes Avi Kumar to Northeast Health Wangaratta as our new Director of People and Culture. 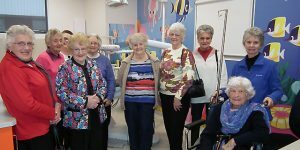 The Wangaratta Ladies Probus Club were given an insight to our diverse services and programs through a ‘behind the scenes’ tour of NHW. 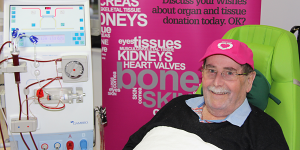 Wayne Duncombe finds himself back on the transplant waiting list along with approximately 1,600 other Australians. 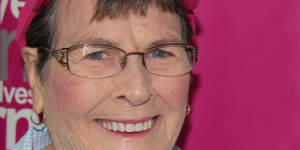 Janet Hammond is celebrating a key milestone during DonateLife Week 2015 – the 20 year anniversary of her life saving liver transplant!